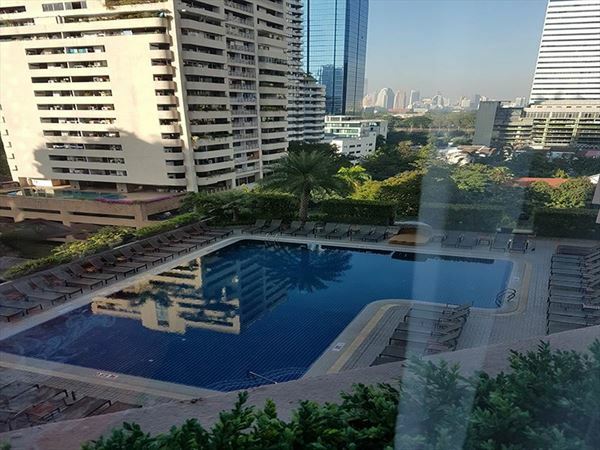 Our holiday started in Bangkok, which was such a wonderful area to explore – so much so that we really wish we had longer there, and we’ll definitely consider heading back to discover even more of what the city has to offer. Our couple of days there were jam packed, so the Rembrandt Hotel was the ideal place to relax in between days and evenings out. The location was brilliant, it was close by to everywhere we wanted to go, and the hotel itself was very clean and tidy. 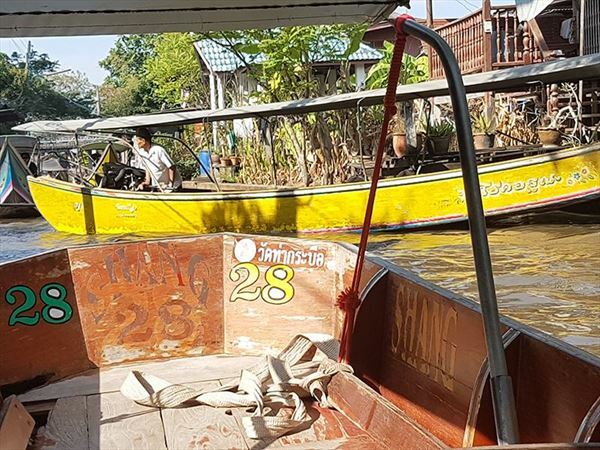 We knew a trip to Bangkok wouldn’t be complete without seeing the floating market, and it certainly didn’t disappoint. It was such an interesting experience, and we loved visiting the Golden Buddha in the Wat Trimitr temple too – I’ve always wanted to see a traditional temple, and it was very eye-opening. The nightlife was fantastic too, we were fortunate enough to meet a couple who knew the area well, so we got a unique taste of Bangkok’s nightlife and cool bars. Though Bangkok is busy, there’s still a nice laidback feel to it - you’re not hounded by anyone to buy things so you can just wander with ease. I felt very safe whilst I was there and I would love to go back. 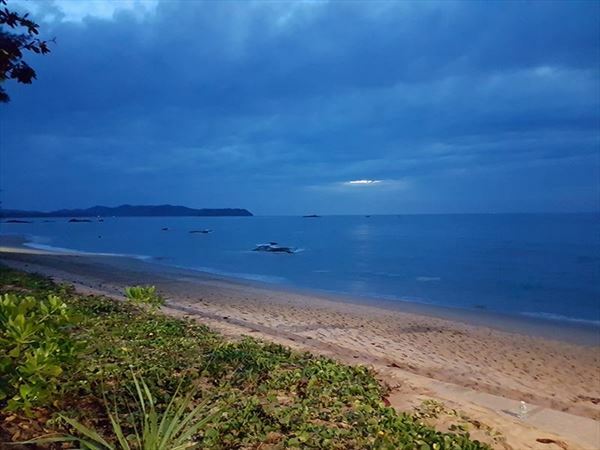 We then flew to Phuket and travelled to Khao Lak Merlin Resort, which was a beautiful hotel. We loved that the beach was just metres away, and then when you look back behind the hotel there’s a stunning tropical backdrop. 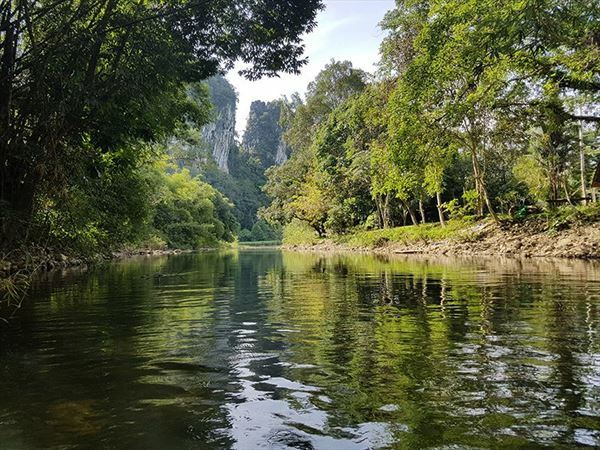 We decided to do a tour of the rainforest in Khao Sok and it turned out to be our favourite part of the holiday – it was the most incredible day out. We loved meeting the elephants in the elephant camp, and then tucking into lunch at a gorgeous rainforest restaurant right next to a waterfall. We then had to choose between rafting or canoeing down the river - we chose canoeing, and the views were just amazing. It was lovely to do something so unique, and all the friends we made on our trip absolutely loved this tour, too. I very highly recommend it. 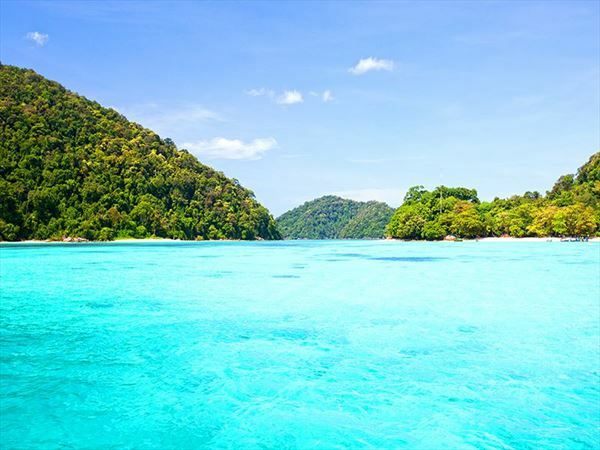 We also really enjoyed the Surin Island tour – the ocean there is so breath taking and blue. I would warn that the boat ride there takes over an hour, but it really is worth the wait. Whilst we were near the island we decided to do a bit of snorkelling, and we saw so many amazing marine animals. 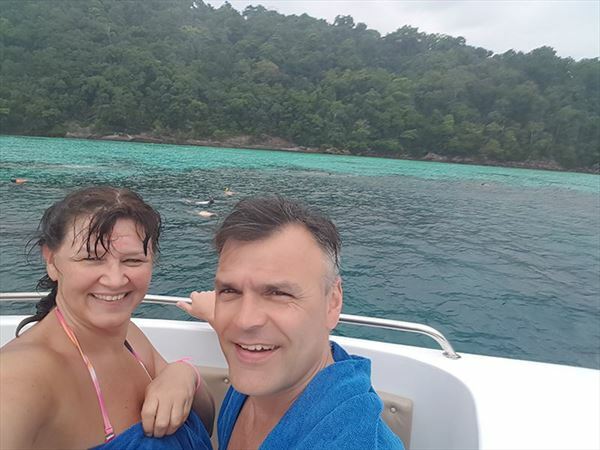 It was my first-time snorkelling – what a way to start! As a vegetarian, I did find it quite hard to find dishes with no meat whatsoever – you have to be wary as sometimes the dish isn’t vegetarian even when it says it is! Usually the soups and broths contain meat, but the vegetarian foods I did try were delicious. My other half was in his element though, there were lots of fantastic meat dishes including steak, seabass and so on. It might be good to highlight that you’re vegetarian to the hotels before you go, but the restaurants at both hotels we stayed at were great. The food at Rang Mahal at Rembrandt Hotel was to die for, and Khao Lak Merlin’s Tropical Garden Restaurant and Bar had a vast variety of foods. The amount of wildlife we saw really made the trip too. 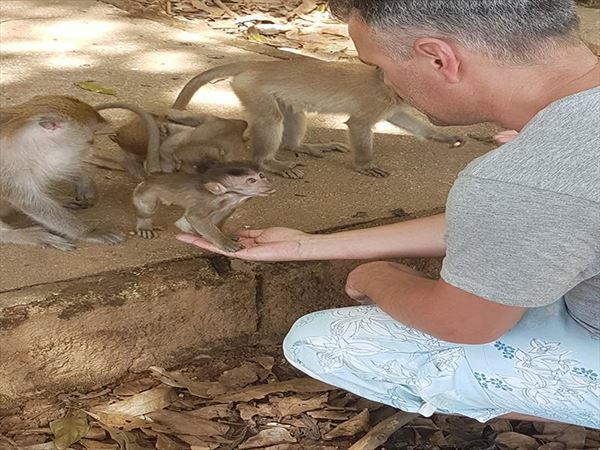 It was amazing to get up close to the elephants, and the wild monkeys were very cute too – though you may want to watch your bag around them. We had a funny moment with a praying mantis; we took a video and it was so strange to see that it turned its head and ran towards us! Other than that, there weren’t too many creepy crawlies, and the hotels had plenty of mosquito nets. 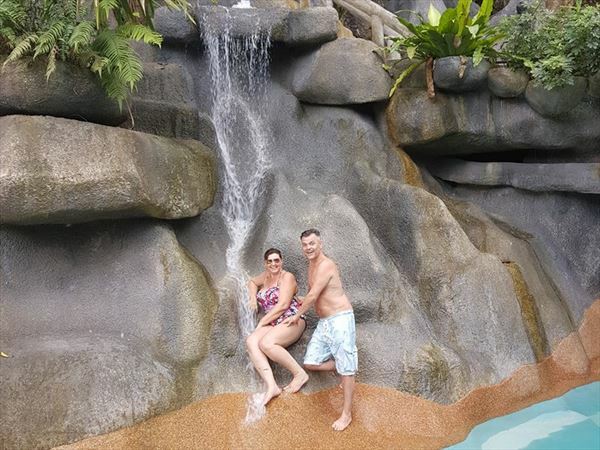 We had an amazing time on our trip to Bangkok and Khao Lak, booking with Tropical Sky was a great experience, everything was taken care off, you organised all the transfers from the airports to the hotels and made the whole experience stress free, thanks to your friendly and informative staff. 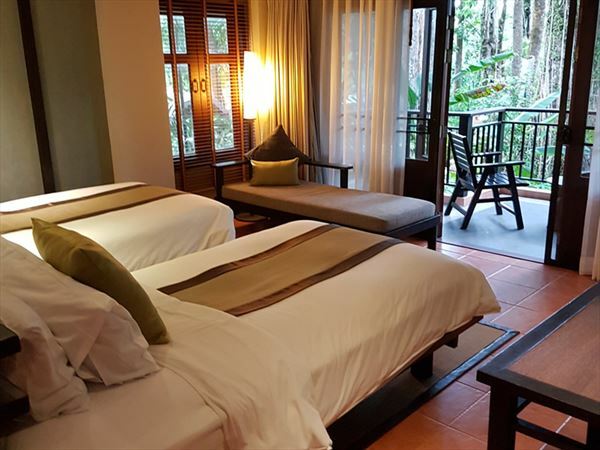 Also you allocated Khao Lak Discovery as our holiday point of contact whilst in Thailand and with whom we booked our tours with. They all spoke perfect English and also come highly recommended. We look forward to booking our next adventure! 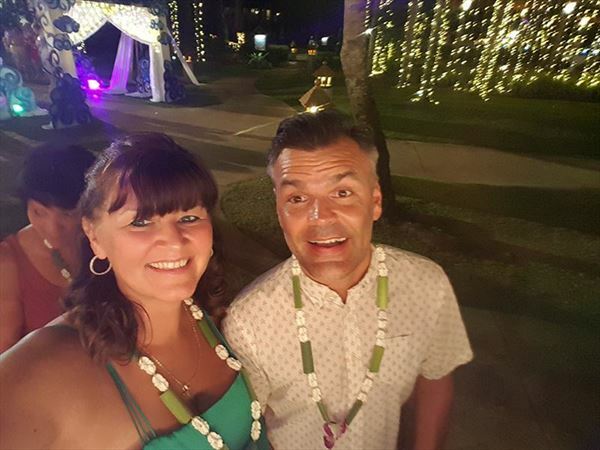 We would like to thank Kelly & Adrian for sharing their story with us and hope to welcome you on another holiday soon..